When we’re young we are taught that working hard will get you far in life. It will lead to big rewards and, ultimately, better compensation. However, there are some places in the United States where people are working longer hours than the national average, but earning less. 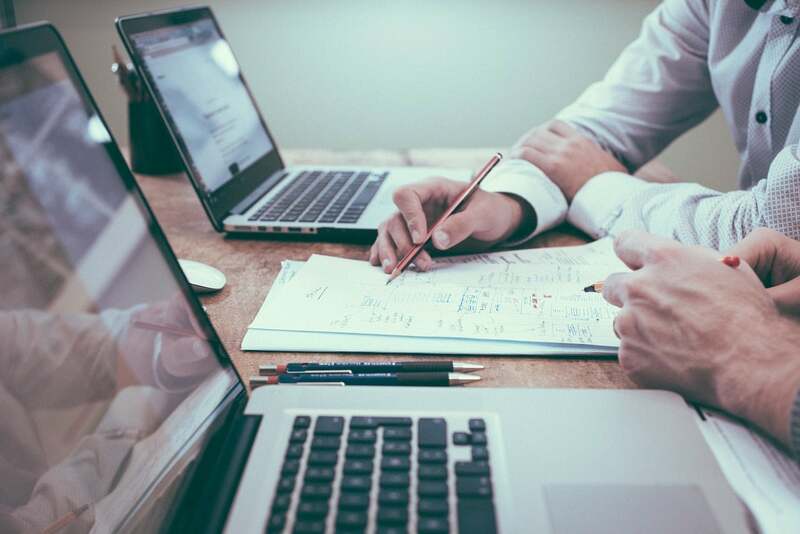 Despite overtime regulations, some people are expected to spend more hours at work due to the business culture or atmosphere. RewardExpert—a free service that helps users take full advantage of credit card and travel rewards—set out to investigate precisely where these two factors coincide; unusually long workweeks in combination with lower average wages. The company’s latest data report on U.S. Cities Where People Work the Most for the Least Pay analyzes data on average wages, weekly earnings, and working hours for 387 cities and metropolitan areas in the U.S. to achieve the ranking. RewardExpert analyzed data on average wages, weekly earnings, and working hours for 387 cities and metropolitan areas in the U.S. to determine in which places people work the longest hours for the least pay. It is mere common knowledge that workers in some places earn more per hour than in others. Likewise, it is also common knowledge that, in spite of regulations capping the number of hours worked before overtime pay rules kick in, that workers in some places spend more hours at work each week. And this is not yet to point an accusing finger at employers in various locales for violating workplace overtime regulations! Where, these two factors coincide, low wages and long hours, is not common knowledge. And this is the question we set out to answer; where do people work the most for the least pay? We analyzed the March 2018 numbers in State and Metro Area Employment, Hours, and Earnings data set from the Bureau of Labor Statistics, to determine which U.S. metropolitan areas have the longest work weeks, with the lowest prevailing average wage. In the ten metropolitan areas that have ranked the worst, employees work the longest hours and are the worst compensated per hour that they have worked. None fare worse than the residents and workers of the Rome, Georgia metropolitan area, and even those who for some reason unbeknownst to reason, commute from elsewhere to a job in this Rome. Workers in the Rome metropolitan area work more hours in a typical workweek than 381 out of 387 cities and metropolitan areas, and earn an average hourly wage of $19.26, which compares decidedly unfavorably to the national average hourly wage of $23.81 per hour. Our second-worst metropolitan area for long, poorly compensated, workweeks is one of the principal cities of the Middle Georgia region. It is a component part of the larger Macon-Warner Robins Combined Statistical Area, as defined by the Census Bureau, and is home to approximately 66,500 of the combined region’s 422,000 residents. Workers employed in Warner Robins—whose economy is anchored by the Robins Air Force Base—endure one of the three longest metro-area average workweeks in the country, working for an average of 39 hours per week. With the prevailing wages in the metropolitan area ranking 331st out of 387, with an average hourly pay rate of $20.22, Warner Robins is an area in which workers work long hours for substandard pay. Our third-place “winner” on our ranking of U.S. metropolitan areas in which the average area worker is paid the most petit of pittances and made to work long hours—but not long enough hours to be entitled to overtime pay— is the Ohio River city of Owensboro, Kentucky. The prevailing, average hourly wage in the Owensboro metropolitan area is a mere $18.86 per hour (across all industries), while the average workweek in the area is 37.5 hours long. Said otherwise: the average worker in Owensboro works 10 percent longer than the average U.S. worker, while he or she earns just 79.21 percent of the U.S. average hourly wage. As compared to third-place Owensboro, Kentucky, workers in the Mansfield, Georgia, area, which is itself part of the greater Atlanta, Georgia, area, have it a little better in one respect, while at the same time having it worse in another, albeit by a smaller margin. Mansfield-area employees work 11 percent longer than the U.S. average, which is slightly worse than in the Owensboro area. They do, however, make 86.01 percent of the national average hourly wage, which makes the value of a Mansfield’s workers’ hour of work rank slightly better than those in Owensboro, but it is hardly a badge of pride to claim 374th place for the value of an hour’s work. On the other hand, this is eight places ahead of Owensboro, Kentucky. One might say that everything counts, even in small amounts, but Mansfield has nothing about which to brag. Taking fifth place on our bottom ten is the metropolitan area anchored by the city of Clarksville, Tennessee, which encompassess a four-county area extending across the state line into Southwestern Kentucky, and evenly split between the two states. One of the area’s largest employers, the Fort Campbell Military Base, is likewise situated athwart the state line. While the average number of hours worked in a typical week in the Clarksville metropolitan area is somewhat lower (36.7), the average hourly wage in the region is an abysmal $18.36 per hour. Sixth-place Hinesville, Georgia, is located in the southeastern portion of the state, near the Atlantic Coast, sandwiched between South Carolina and Florida, and is one of the most populous cities in the region, after Savannah. Like every city and metropolitan area on our bottom ten list, the number of hours in the average workweek of those employed in the area is significantly higher than the national average. Hinesville’s average workweek is 12 percent longer than the nationwide average, while average hourly wages are $2.65 lower than the nationwide average. Coincidentally—or not—the Hinesville metropolitan area is home to a major military installation, Fort Stewart, just as Clarksville is home to Fort Campbell, and Warner Robins is home to Robins Air Force Base. As we turn to our number seven entry on our bottom ten list, we find Goldsboro, North Carolina, to be yet another example of a city and metropolitan area whose economy and employment market is anchored by a military base of some kind. In this case, the Seymour Johnson Air Force Base. While it would be speculative, and indeed, premature, to point an accusatory finger at the presence of military bases as the reason why area workers have workweeks fully three hours longer than average, and average hourly wages more than five dollars less per hour than average, there appears to be some connection. Goldsboro, however, has direct experience of other military risks: in 1961 two hydrogen bombs were accidentally dropped on a village twelve miles from Goldsboro, and miraculously, neither one detonated. While it is still the seventh-largest city in the state of Tennessee, the city of Jackson, located a little more than an hour to the east of Memphis, is no longer the business and transportation hub that it was from the antebellum era until the 1960s. Like many of the cities and metropolitan areas that populate the bottom of our ranking, the Jackson, Tennessee, metropolitan area has an economy dominated by manufacturing, which, in this now union-unfriendly, right-to-work state, results in predominantly low-paying jobs (the area average hourly wage is a mere $18.31), with long days and workweeks averaging four hours longer than the average across all metropolitan areas, nationwide, which were included in the BLS data release. The Staunton-Waynesboro, Virginia, metropolitan area, which encompasses the two independent cities of Staunton and Waynesboro, as well as Augusta County, can be found nestled in the Shenandoah Valley, in the western part of the state. With one of two area employers with more than 1,000 employees being the Augusta County Schools, one might expect that the average length of an area worker’s week to be shorter than the 38.6 hour average across workers in all industries. While it might be tempting to ascribe the area’s long working weeks to the fact that the other largest employer is Augusta Health, a major regional hospital, in that case, one would expect average hourly wages to be higher than the $22.19 per hour average that we see in the area. It is possible that the non-negligible number of area residents who brave long commutes to work in the Washington, D.C. area might be a confounding factor. Rounding out our list of the cities and metropolitan areas in the U.S. where area employees work the most and receive the least, is the Eastern Tennessee city of Cleveland. In terms of cultural geography, Cleveland, Tennessee, is located where the Bible Belt and Appalachia overlap, and in terms of its economy, it is a major industrial and manufacturing center—one of the five largest in the state—that is also home to the corporate headquarters of hundreds of manufacturers and more than a handful of nationally prominent firms. In this light, the longer than average hours in a typical workweek here are not surprising, as such. What is surprising is that prevailing wages in the area are so low, at $2.61 per hour below the national average, while Cleveland is at the same time home to so much production and wealth. Or is it surprising, after all? It can be tough making ends meet sometimes. Buying big ticket items, paying off debt and covering unexpected expenses can be hard. One way to help finance those things is with the right credit card. There are a lot of cards on the market that have promotional offers for interest-free financing on balance transfers and purchases. With one of those cards, you can stretch your payments out over many months without incurring any additional interest charges. Perhaps the best cards are those that offer both cashback rewards and zero-interest financing. It’s a great way to earn a little extra toward paying off your debt just by making everyday purchases on your card. The Wells Fargo Cash Wise Visa is a good option because you’ll get one year of 0% APR on both purchases and balance transfers. That means it’s a solid choice for either paying for a new purchase over 12 months or paying down existing debt, particularly high-interest credit card balances. 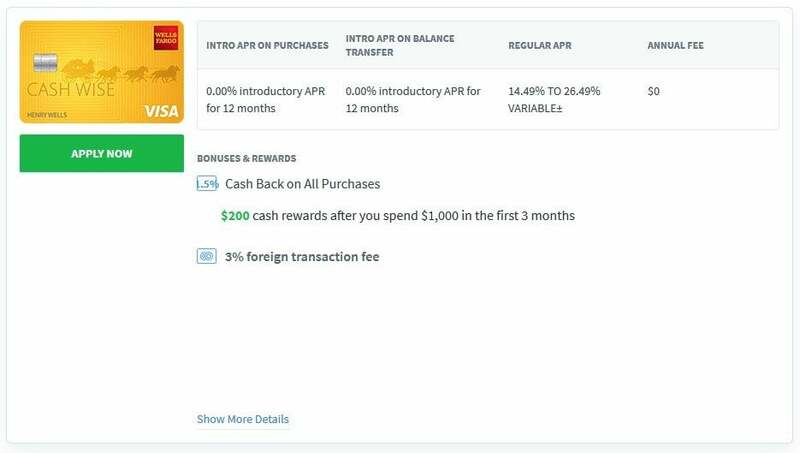 On top of that, the card comes with a generous $200 sign-up bonus if you spend $1,000 within three months and earns 1.5 percent cash back on all purchases. There’s no annual fee, either. 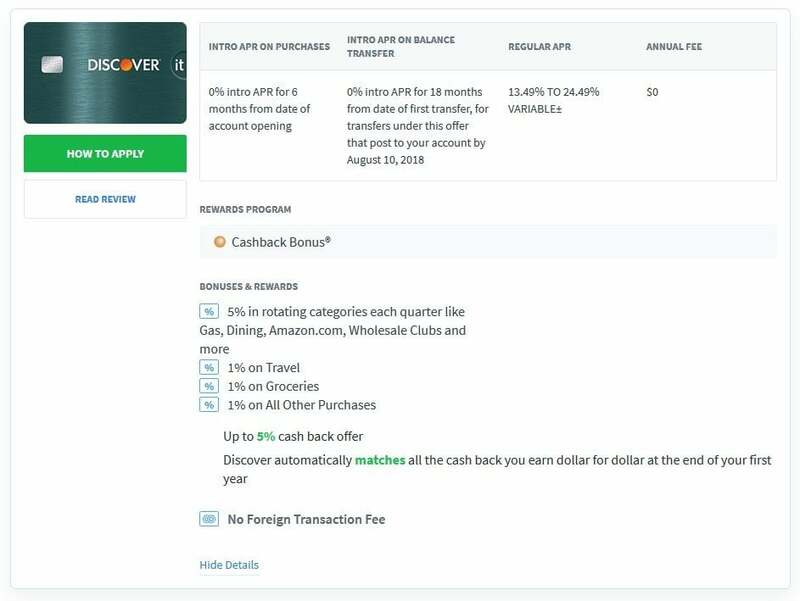 If you’re primarily interested in paying off existing credit card debt, the Discover it Balance Transfer card is the way to go. 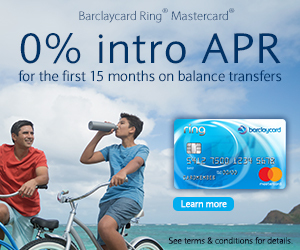 You’ll get 18 months of zero-interest financing on all balance transfers. You can save hundreds of dollars in interest payments with this no-annual-fee card. On top of that, you’ll earn 5 percent cash back in rotating bonus categories and 1 percent back on everything else. And at the end of your first year as a cardholder, Discover will match every penny you’ve earned in cash back. Meaning that you’ll effectively be getting 10 percent back in bonus categories and 2 percent back for everything else. You can’t beat those rates of return. The final card on our list, the Citi Simplicity, offers the longest period of 0% APR for purchases, giving cardholders 18 months of interest-free financing. That promotion is also available for balance transfers. What’s the catch? You’ll have to sacrifice cashback rewards for those extra months of zero interest on new purchases. As an added bonus, the Citi Simplicity card doesn’t charge late fees and has no penalty APR. You won’t be punished for the occasional slip-up on your card payments. If these three cards aren’t going to work for you, check out RewardExpert’s complete list of 0% APR cards. There’s sure to be one to fit your needs. To obtain the overall score used to rank each of the 387 metropolitan areas for which data was available, we first ranked each metropolitan area for the average length of a typical area worker’s workweek in hours and the relative value of each hour spent working (average wage divided by average number of hours worked). We took the arithmetical mean of these two and ranked cities and metropolitan areas according to this composite score in descending order, reflecting workweek length and earning power per hour.